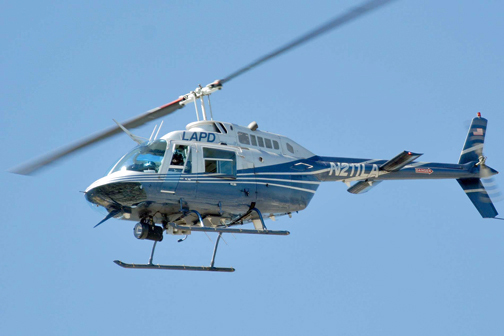 The largest municipal airborne law enforcement operation in the world is the Los Angeles Police Department's (LAPD) LAPD Air Support Division (ASD). The fleet consists of 14 Eurocopter AS350B2 and five Bell Jet Ranger B3 helicopters as well as one King Air fixed wing aircraft. Their mission is to provide city-wide air support to patrol units as they work to reduce crime and enhance officer and public safety—and without reliable comms, such would become a daunting task. 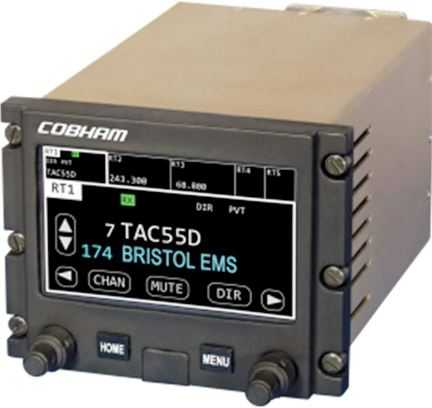 Enter Cobham who will be supplying their Flexcomm™ RT-7000 panel-mount tactical radio to LAPD. The new RT-7000 panel-mount tactical radio embodies an evolutionary software-defined radio (SDR) design with a modular architecture that may be configured and upgraded as an operator's requirements and mission evolve. Cobham's Flexcomm™ RT-7000 tactical radio. The RT-7000 highly suited for helicopters and fixed-wing aircraft flying a variety of public safety missions, including airborne law enforcement, helicopter emergency medical services, fire suppression, border patrol, search & rescue, electronic news gathering, and surveillance and is produced by Cobham Aerospace Communications in Prescott, Arizona. According to Cole Burdette, Chief Tactical Flight Officer, Air Support Division, LAPD, Cobham tactical communications products have been proven in service with LAPD for many years and the introduction of the Cobham RT-7000 panel-mount tactical radio gives the department full mission capability, a much improved user interface, and an unmatched upgrade path as new technologies are introduced in the future.